There will be more than 30 travel exhibitors present on the day ranging from airlines to tour operators and cruise lines. Admission is free and children's entertainment will run from 12 noon to 2pm, finishing with an exciting competition for the kids, so families be sure to come early. Travel clinics will run throughout the day – keep an eye out for the timetable. There will be experts talking throughout the day about their specialised area. More details will be released ahead of the expo. So if you are thinking of a holiday for 2018/2019, whether it is a trek around South America, an escorted tour, family holiday to Orlando, a magical trip to Lapland, a Caribbean cruise, or a river cruise, do not miss this opportunity to meet with the experts. 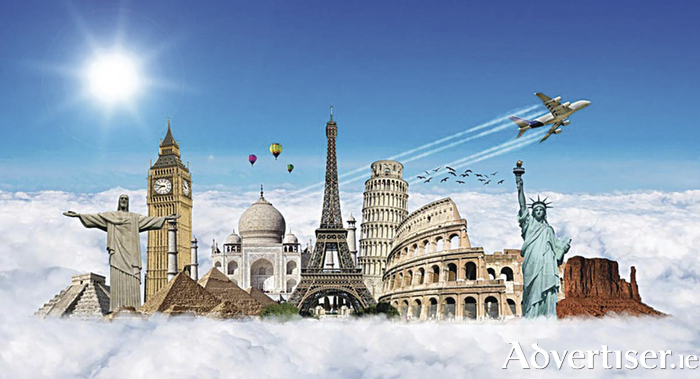 There will also be long haul experts present, so if you are planning your dream honeymoon, be sure to attend. Discounts and offers will be available for bookings made on the day. Book early and save…low deposits and easy payment options will be available. Attendees can also enter a draw to win a holiday for two in Dubai with Emirates Airlines, plus numerous spot prizes, so don’t miss out! For more information, see the Fahy Travel and Corrib Travel websites, www.fahytravel.ie and corribtravel.ie, and find them on Facebook.